To and fro, out and about, the search began for a budget accommodation. I had made friends even before I had finalised on the stay. Finally, I settled on Hotel Kasera Heritage View, had a long hot water bath and went out for dinner just before the town closed down for the night. Though a backpackers’ place, the night life was non existent at Bundi. The breeze was finally cold after a long hot day. A quick dinner and I retired for a long sleep. It was a late start the following day with absolutely no plans. Being perennially on the road, I carried on with my regular chores like catching up with friends over long calls just like I would at home. Travel as a way of life is different than a vacation, I tell you! 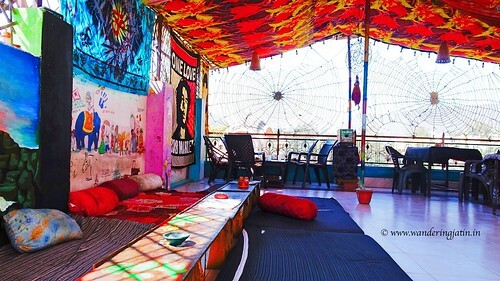 Bundi has interesting cafe’s and awesome vibes which I loved a lot. 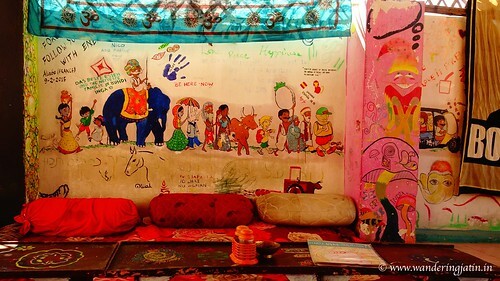 I went to Energy Cafe: low sitting arrangements, amazing graffiti work and overlooking the Bundi Fort; it offered a cool respite from the hot weather that was outside. Soon after, I went to explore the Taragarh Fort. Constructed in 1354, it now lies in ruins, however, the hallways, the paintings, murals, art work and architecture still gives away loudly the Royal mansion it must have been once. 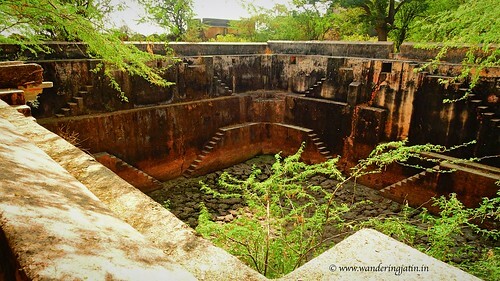 Owing to an insignificant footfall in Bundi, the fort is unfortunately left to be claimed by the wilderness unlike its siblings in the touristy spots in Rajasthan. Sitting by one of the windows, I enjoyed the cool breeze coming in, and looked at the cityscape from up there. “Hey you! I wrote you an email asking to join you on the day trip around Bundi.”, I was still lost in my thoughts when these words from Aspelina brought me to the present. “Oh yeah? I had turned off to the plane mode while traveling around.”, I replied. Aspelina, a traveler from Greece I had befriended the previous night whom I had happened to mention about my unplanned wanderings around Bundi on my bike, was following up to join me for the day trip. From then on, I had company in Bundi. 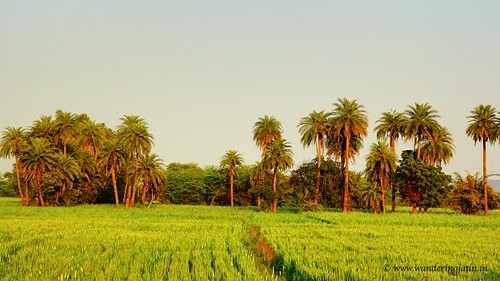 Reach – 220 kms from Jaipur, the city is easily reachable and well connected via trains and buses. Stay – A lot of budget options are available in close proximity to the Fort itself. Eat – The cafes in Bundi serve food ranging from Indian, Italian, Israeli to many other cuisines. Food is tasty. Food is cheap! Wander – Visit the Taragarh Fort and Palace. Sukh Mahal is nearby. I suggest renting a bike to explore the countryside towards Rameshwaram Temple, ~16 kms off the city. Bonus tips – Avoid the summers. October to February should be good! 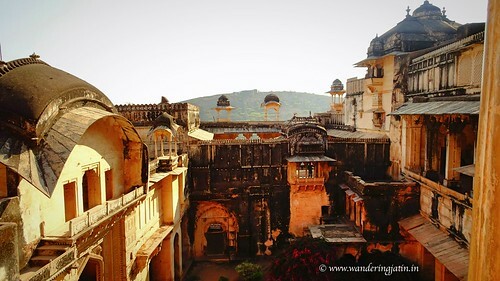 First up, we went trekking further to the Bundi Fort, most of which was then in ruins. Sitting by the stepped well and under the shade of the trees in the wilderness, we exchanged some interesting philosophies about life. Coming from different nationalities and backgrounds, we had so much to share and yet, we were united by the love of travel and had so much in common. Perspective, Happiness, Ulterior Motives, Connections – a lot I sat there and learnt about that day, a lot we never ponder over consumed by our fabricated action items. Post lunch, we rode to the Rameshwaram Temple 20 kms from the town, and that’s where the awesomeness of Bundi really got highlighted! The beautiful countryside, the lush green fields and the smell of Earth right on the outskirts had me wide grinned beneath my helmet. I took some random turns into the fields to interact with some locals: their heads covered with veil (ghoonghat), the women were a talkative bunch (no surprise! ), and took to their fancy the presence of a foreigner. We were told about the snake Gods these people had, to protect them from the terror of the huge snakes which existed in the vicinity. It had almost grown dark when we climbed the stairs to the cave of Lord Shiva in the Rameshwaram temple, and the vibes had us moving! It was surreal inside: water dripping from the caves at several locations, the energy of the place was very positive. By the time we reached the waterfalls, visibility was almost nill but we could figure out the pond and the falls. A look above in the skies and the number of gazillion stars in the skies wowed me! It is always a happy sight to watch those many stars in the skies, something I was absolutely unaware of in my air conditioned flat at Gurgaon. We returned very happy from the temple, and sat around for a little chat while sipping our teas with pakodas. All in all, Bundi definitely features into my favourite backpacking destinations in India. The countryside, the ruins of Taragarh Fort, the cafes, the budget stays, minimal and interesting backpacking crowd and friendly locals – Bundi has quite a quietude to offer! 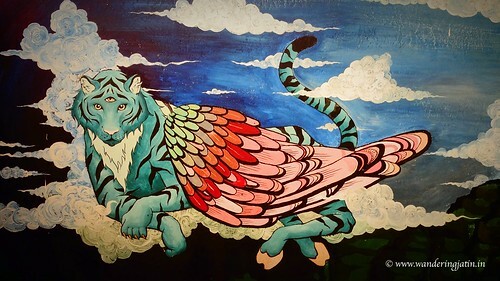 If only the Sun God was a little calmer here! 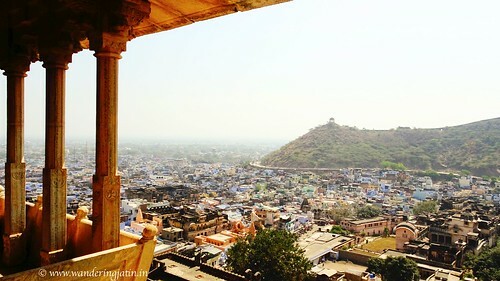 I would recommend only the winter season for a pleasant visit to Bundi. 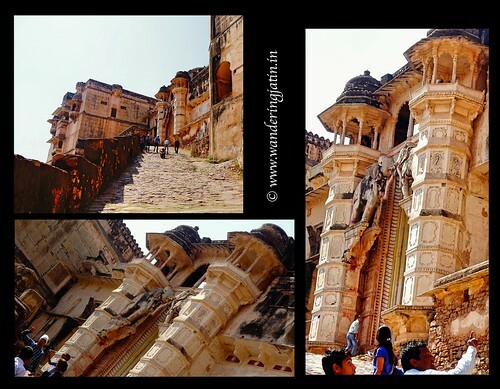 Have you been to Bundi? 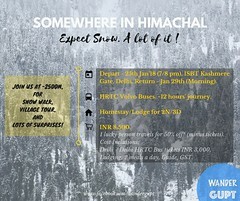 How was your experience, do share in comments. Coming up next – 500 kms ride to the river Narmada in MP! Keep following. hey, it’s an awesome tale. your travel tips are simple and useful keep it up, mate. I am waiting for interesting tales like this. Thank you so much brother. Stay tuned, more coming up!